Attorneys and Accountants rely on my reports when calculating real property values for estates, divorces, "date of death" valuations or other disputes requiring a value being placed on real property. I understand their needs and are used to dealing with all parties involved. I provide appraisal reports that meet the requirements of the courts and various agencies. Settling an estate usually requires an appraisal to establish Fair Market Value for the residential property involved. 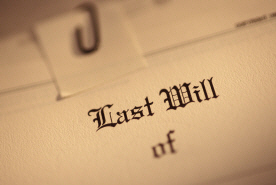 Often, the date of death differs from the date the appraisal is requested. I am familiar with the procedures and requirements necessary to perform a retroactive appraisal with an effective date and Fair Market Value estimate matching the date of death. The ethics provision within the Uniform Standards of Professional Appraisal Practice (USPAP) binds us with confidentiality, ensuring the fullest degree of discretion.